Judd Ryder is an agent with Military Intelligence. At least he was just before the start of the first recorded adventure. What exactly he was doing when that activity happened was a bit mysterious. According to a description of him, Ryder is "six feet one inch tall, he was thirty-two years old, wide-shouldered, with an easy stance. Fine lines covered his face, swarthy from too many hours in the sun. His hair was wavy and chestnut brown, while his brown eyes had faded to a dark, contemplative gray. His gaze was rock steady, but a sense of disillusionment and a hint of cynicism showed." Born to a highly prominent founder of a major pharmaceutical company, Bucknell Technologies, it was always assumed by the father that Ryder would, after college, go into the business and work his way to the top to eventually run it. That was not, however, the life that Ryder saw for himself so he instead joined the military. His talents which included a very sharp mind as well as an observant eye and the physical skills to let himself go into very tricky situations made him a natural for the Intelligence work that he would find himself in. This was hardly surprising given that his father had for a short time before going into business been an agent with the CIA. Three tours in Iraq and one in Pakistan had been enough for Ryder. He had just left the service when his father was assassinated by a sniper while trying to pass on a concern to the Agency. Ryder did not know any of that when he decided he wanted to learn more about his father's murder. That desire for information and eventual justice would change his life forever. 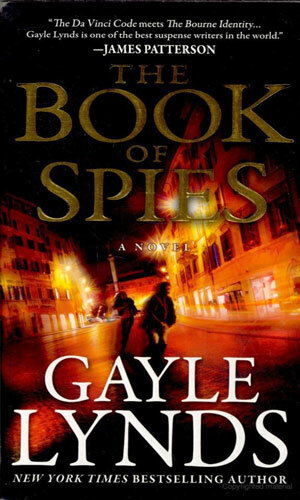 The Book of Spies was one volume in a rumored great library of gold-covered bejeweled books which got its start back in the times of the ancient Greeks through the Byzantine Empire. It was now being used to finance terrorism by a cabal of very wealthy men. The CIA wants to stop this flow of money and they ask a library curator for help. She in turn asks for the help of Judd Ryder. When Judd Ryder learns someone has been impersonating him, he is a tad miffed. When that imposter is killed, Ryder is more than a little interested. Digging deeper into the murder, Ryder begins to see he and his old friend Eva Blake are being sought by the Carnivore, a Cold War assassin out to eliminate two people who know what he looks like. - The author, Gayle Lynds, has shown over the years she knows how to put the right words in the right order to make for a quite right adventure. She did it with Liz Sansborough series and with the books in Robert Ludlum's Covert One series, including the inaugural adventure. She has now done it again with Judd Ryder, a character who is interesting, charismatic, and fun to follow and his adventures are full of nifty twists and surprises, including a supporting character, Eva Blake, who deserves her own series (if you ask me which no one did). I especially liked the fact that a small part of the second book involved the notorious assassin known as the Carnivore, a major factor in the Sansborough storyline. 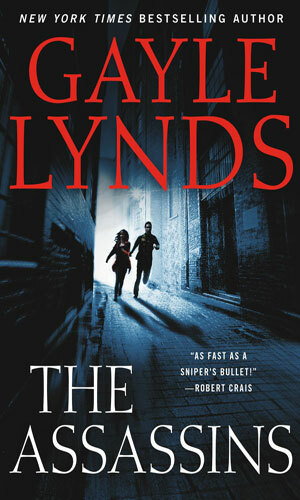 Ms. Lynds is one of those terrific authors you just cannot go wrong with and these Judd Ryder stories just confirm that.